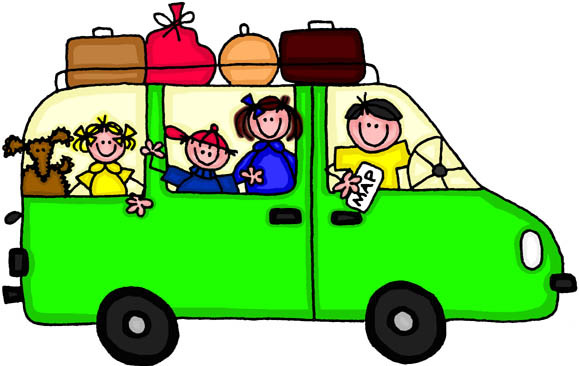 Well, we are officially into summer, and that means family road trip time for many of us! Summer Road Trips are a memorable part of childhood, and even with all of the dirty restroom stops, fighting in the backseat and hearing “are we there yet” 567 times…. I would not miss our annual automobile voyage for the world! Most families stop at fast food restaurants a few times a day, while on long car trips. But unless your kids LOVE a McDonald’s ice-burg garden salad, there is not much for Vegan kids to eat. I recommend packing a large cooler, filled with tasty & healthy food that your family will enjoy. 1. Some type of non-dairy milk. Rice, Soy, Almond, Hemp, whatever you like. It will come in handy for cereal, coffee, tea… etc. 2. A few “healthy” Vegan cereals. Kids & grown-ups enjoy a nice bowl of cereal at any time of day. 3. At least 1 loaf of Wheat/Whole Grain bread. You can eat it plain or create a sandwich. 7. Lots of fruit!! Apples, oranges, bananas, grapes, strawberries, etc…. make sure it’s washed & ready to eat! 8. Veggie Sticks. Take the extra time and prepare lots of variety. Slice carrots, celery, sweet peppers, broccoli & cauliflower! They can dunk them in the nut butter, or bring some vegan dip. 11. Whole Grain Taco Shells. Seriously! Kids love them, and they can fill them with beans, veggies, or eat them plain. 12. Container filled with black beans or garbanzo beans. Sooo healthy!! 14. Drinks!! No soda for this family, so I recommend lots of water!! Juice boxes are good too! 15. Last but not least, something SWEET! Vegan cookies, a little candy, popcorn…. you get the idea. Your kids deserve a little reward for sitting in the car for so long! Don’t forget to stock up on paper goods, forks, knives, spoons, paper towels, etc….. eco friendly ones, of course! Great list, Lisa! I think the iceberg salad from McD’s is the only vegan option, don’t the fries have milk in them, of all things?! Not that you would want either!! Love your blog! Sounds like a well packed cooler! I love all of these ideas. What do you pack for fruit spread? Do you mean jam? Do you ever consider packing bean dips like hummus? These are easy to make at home and go great with veggies or as spreads on bread. Yes, I refer to jam as “fruit spread”. Some people say jelly, but I don’t like the kinds with a lot of added sugar or preservatives. Your list is very close to mine (we usually bring dried fruit and pretzels, too). Thanks for the fry info. I recently heard that they make the fries with milk also. I was told that they were Vegan, thank goodness we have not visited a McDonald’s since last summer.